It was a strange sight that residents at Eight Courtyards condominium in Canberra Drive woke up to on Saturday morning. 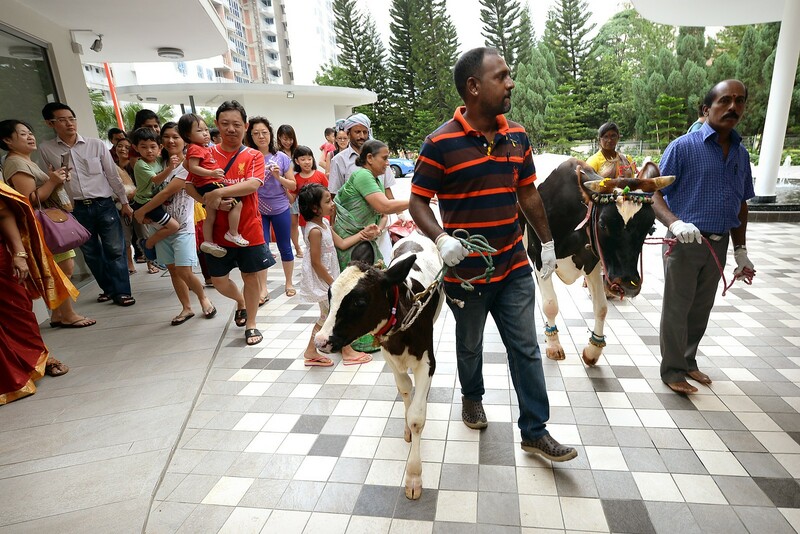 A cow and a calf led a procession of about 40 people through the grounds. 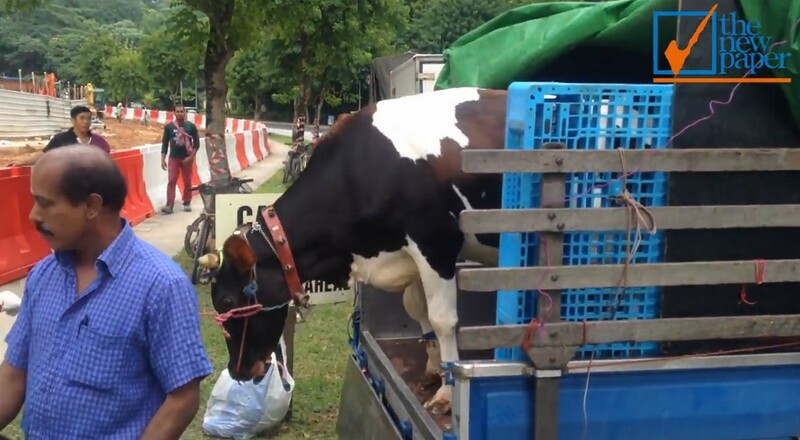 A man with gloves, a bucket and trash bags followed closely behind the animals, just in case the animals defecated in public. 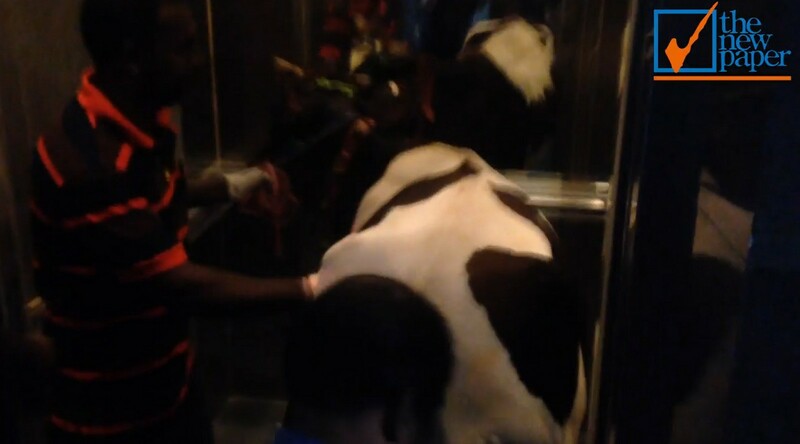 The animals squeezed into a lift and went up to the 14th storey of one of the blocks, where the Thiagarajen family was waiting expectantly. 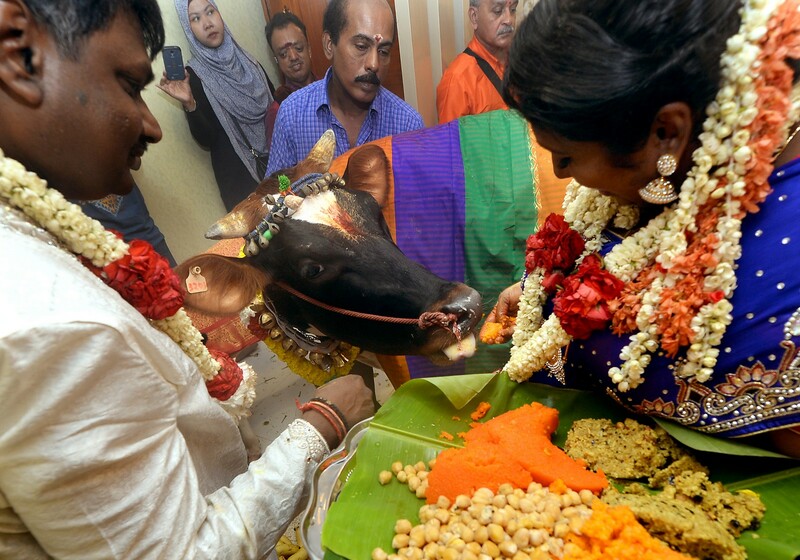 The family had just moved into their new home and the animals were there to do a house blessing. 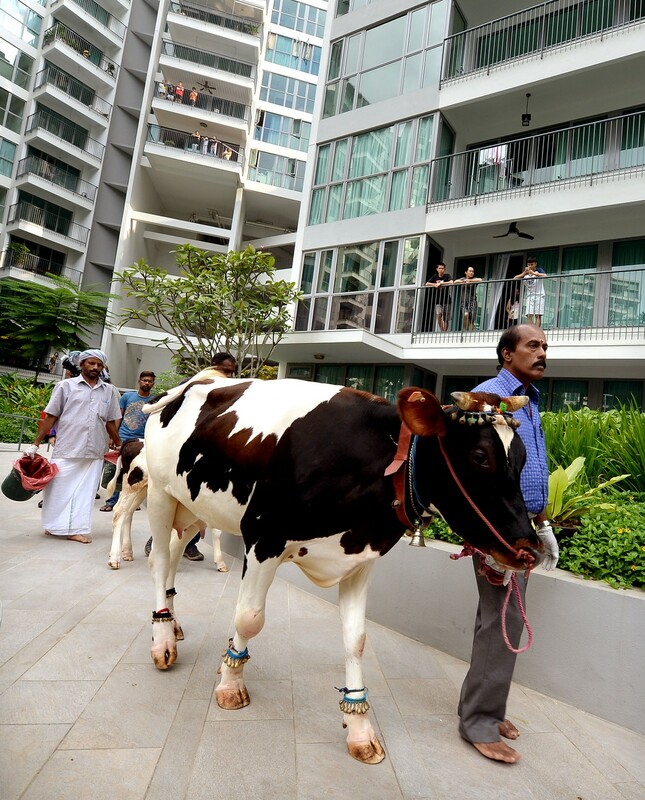 Sri Vanitha, 35, was delighted at the arrival of her "guests" to her newly-renovated home. She was even more pleased when the animals let loose almost immediately - dropping faeces and spraying urine all over the living room floor. She said: "It's the first time in my house and I'm very contented. It is a blessing." 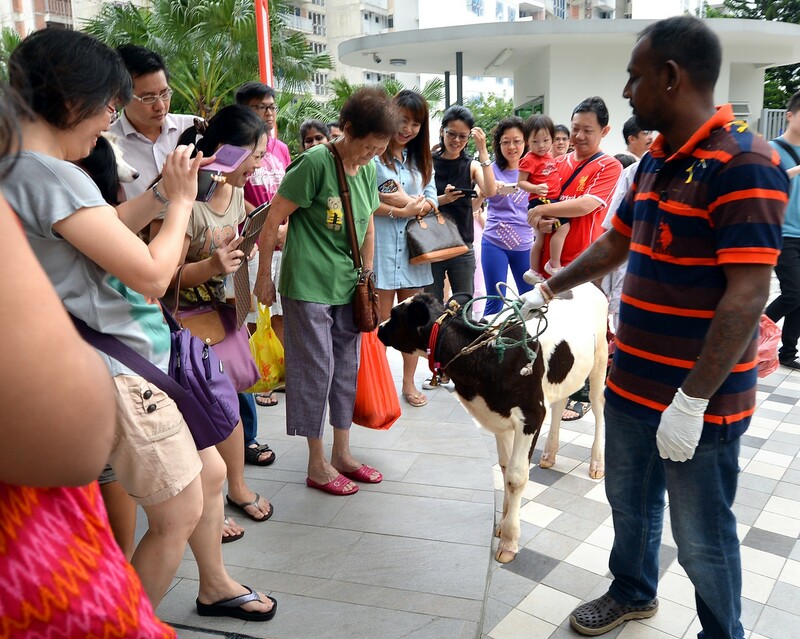 The Singaporean family had invited other residents through Facebook and SMS, and were happy that about 30 of them turned up. 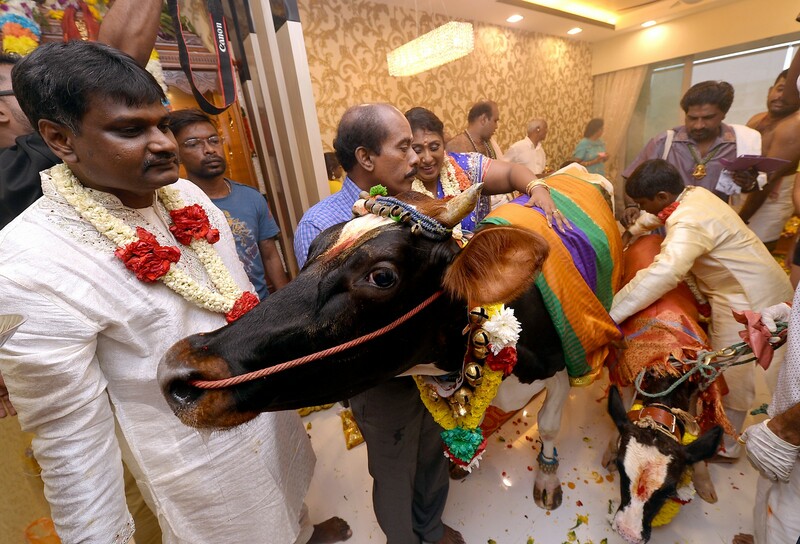 As the animals were led through the rest of the three-bedroom unit to deliver more blessings throughout the home, the neighbours followed, keen to take pictures of the ceremony. 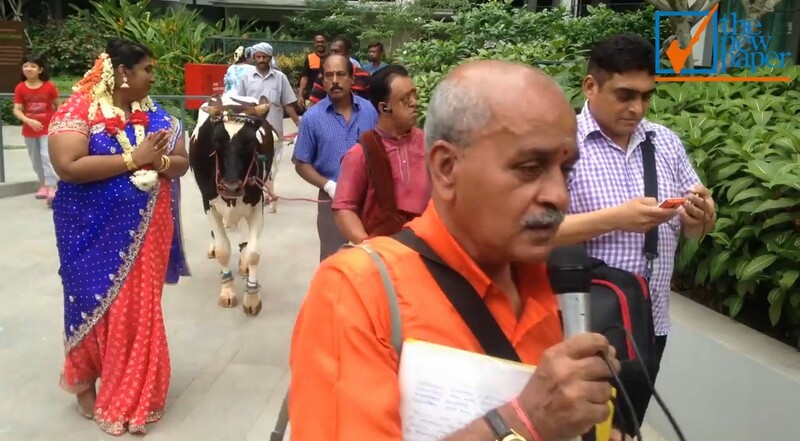 The cow was also milked, but the milk was not for consumption. 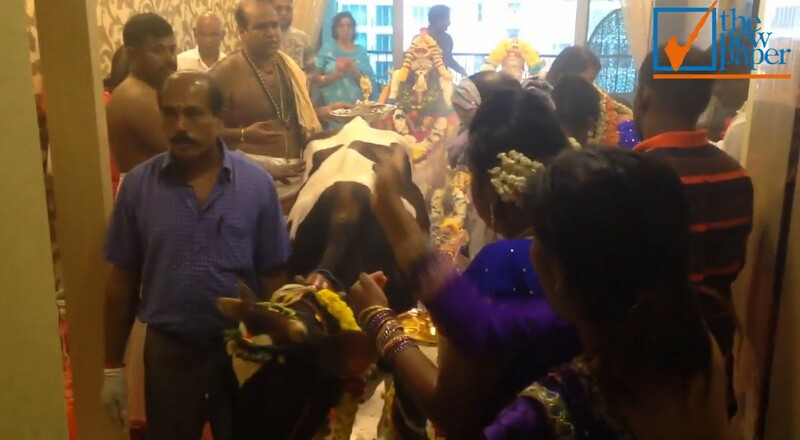 The milk was used to wash the statues of the deities in the home as part of the ceremony. 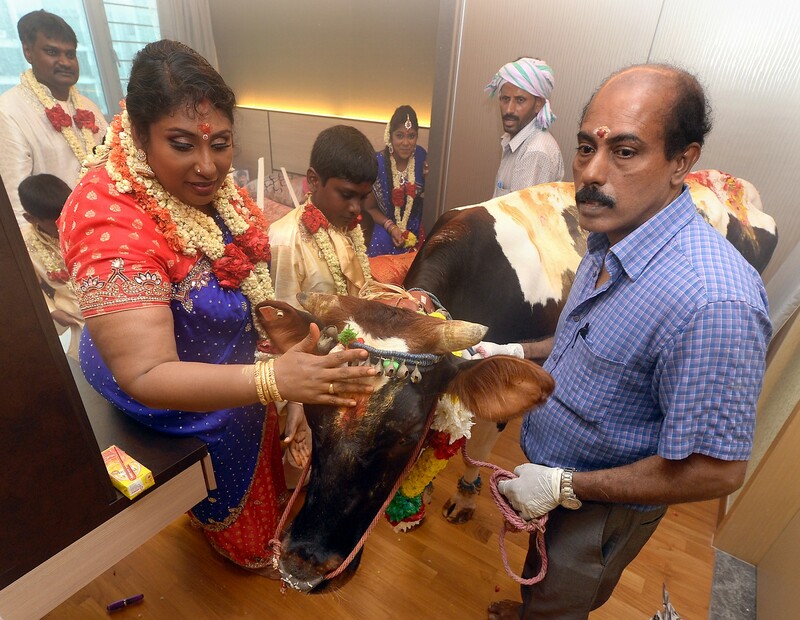 One of the neighbours, Sooria Kala, 55, a senior administrator, spent an hour in the morning preparing for the housewarming. 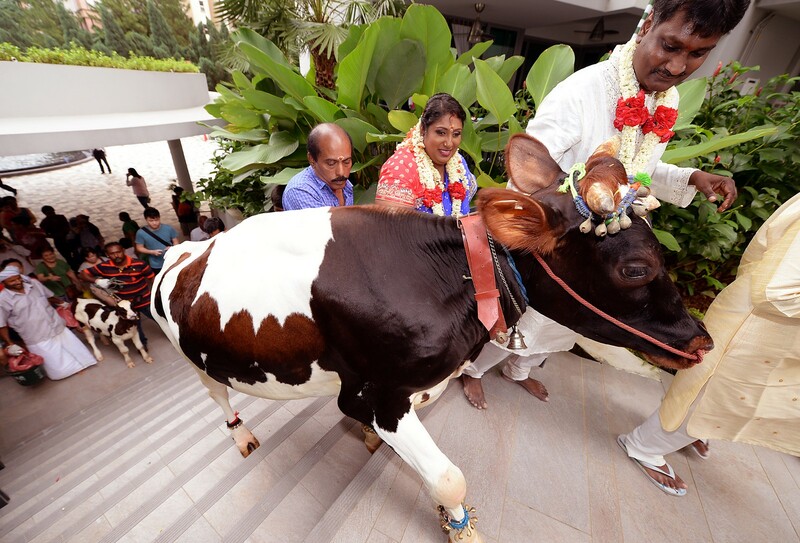 "I have never seen anyone do a cow blessing in a condominium before," she said. Another neighbour, housewife Serene Yeo, 42, said she turned up with her family of four to witness the ceremony. 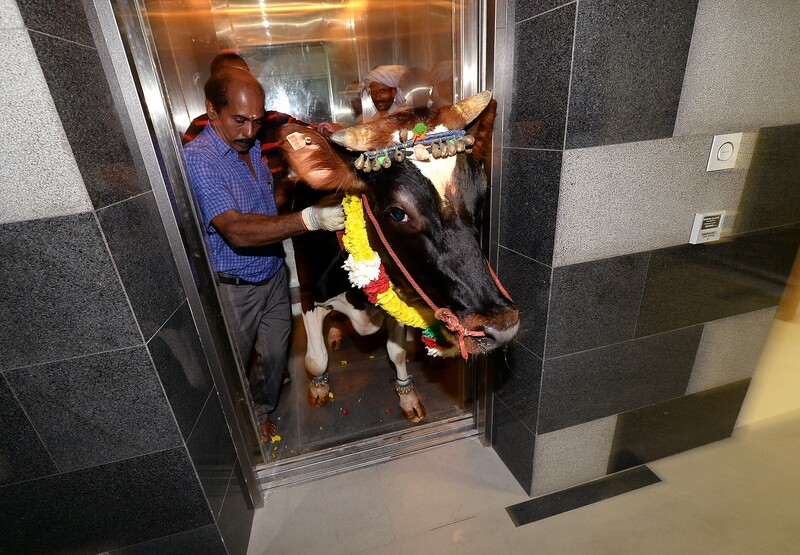 She said: "We were very excited when we found out they were bringing a cow because it's a new experience for my two daughters. 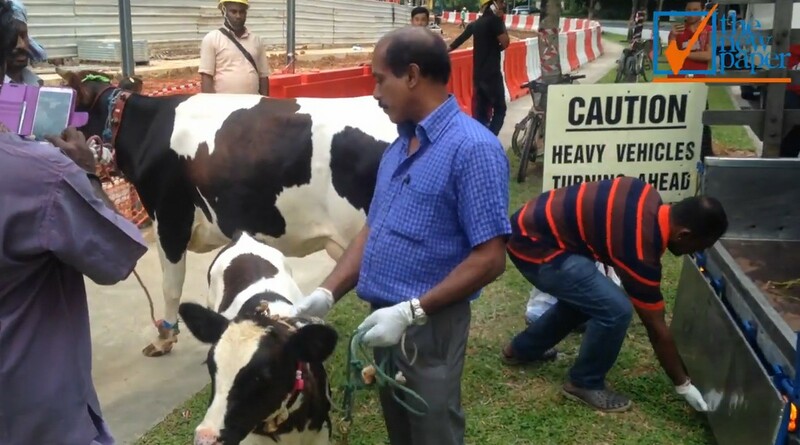 Shaiful Sukaimi, 48, chief security officer of the premises, said it was his first time having to do crowd control for cattle. "We had a briefing before this about crowd control and there were six security officers, as well as two people from management, here to help," he said. 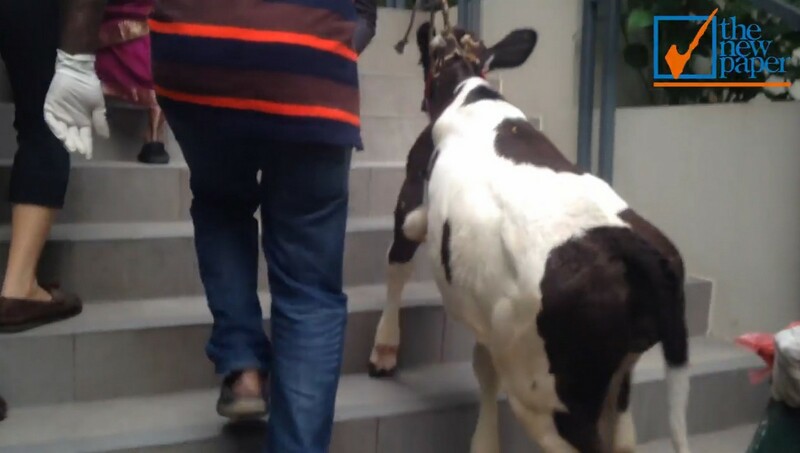 "It's a good thing the cows didn't eat the plants and the handler cleaned up everything." 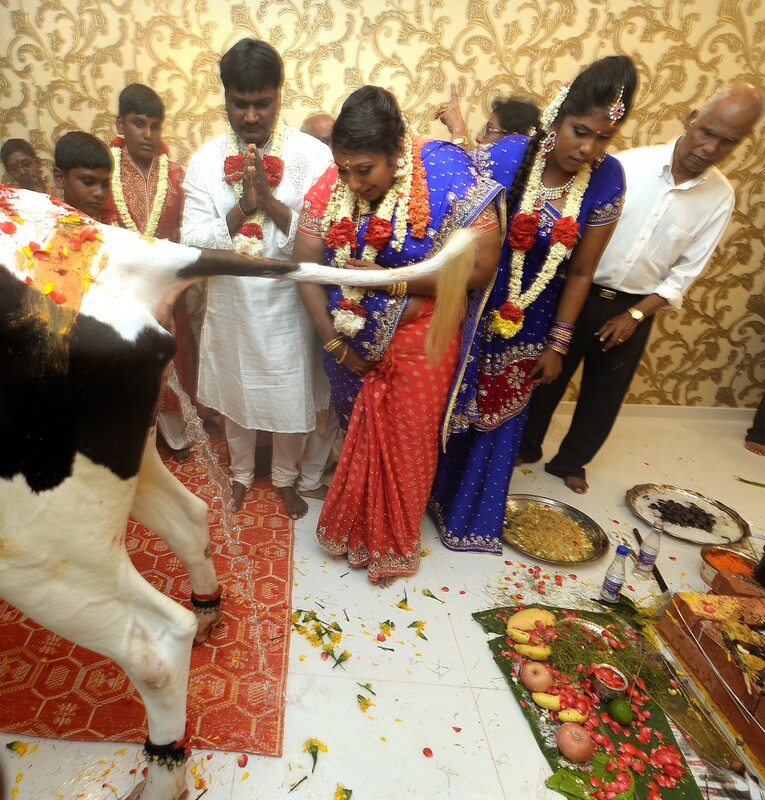 As for the house, Mrs Sri said she will not be cleaning up any time soon. "It is an awesome smell, it's so divine," she said. 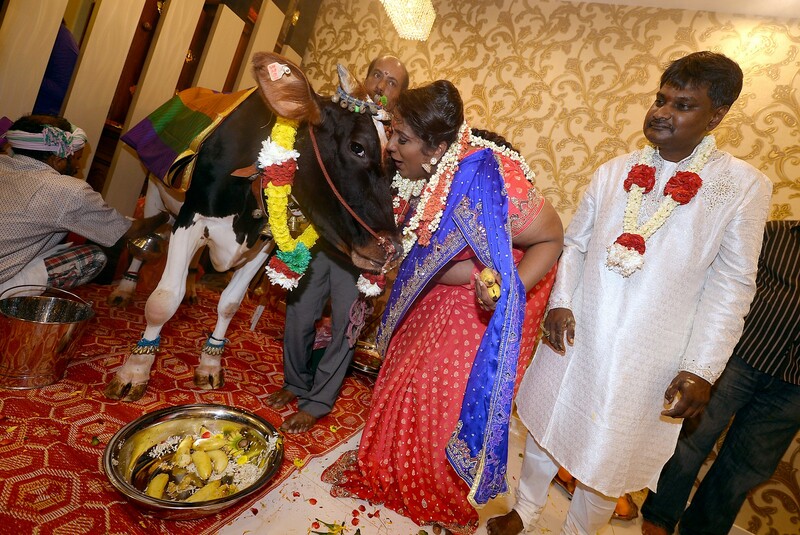 The cow was also milked, but the milk was not for consumption; it was used to wash the statues of the deities in the home as part of the ceremony. 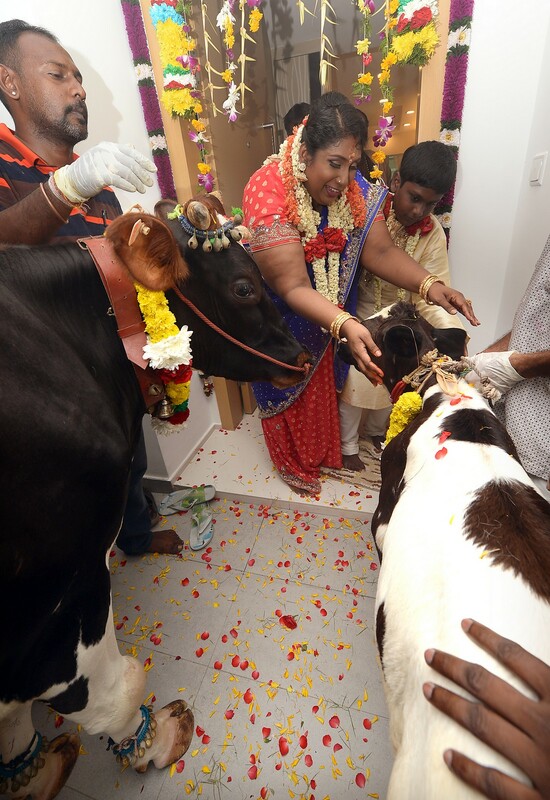 "I have never seen anyone do a cow blessing in a condominium before," she said. "It's usually done in landed properties because it's quite a hassle." 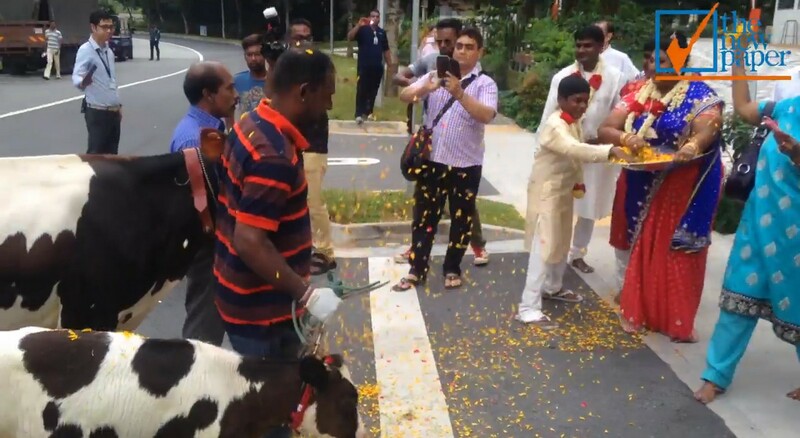 Another neighbour, housewife Serene Yeo, 42, said she turned up with her family of four to witness the ceremony, despite not having moved in yet. "It's also nice to support our neighbours since we'll be living in the same block." 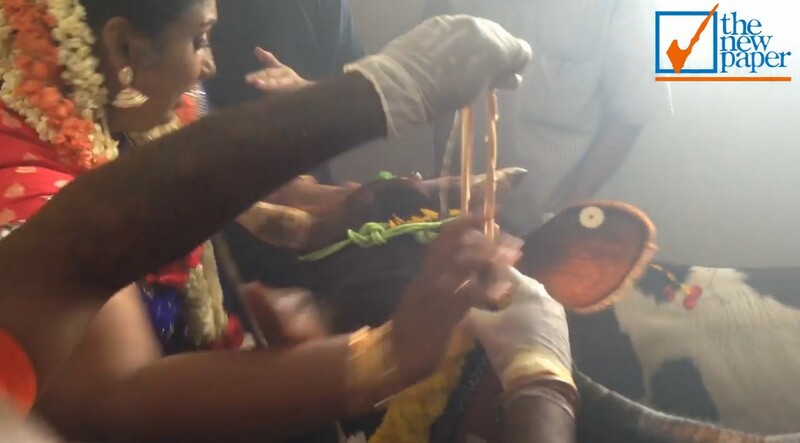 As for the house, Mrs Sri said she will not be cleaning up any time soon. "It is an awesome smell, it's so divine," she said. "I will not be cleaning it up, at least not for the next three days."